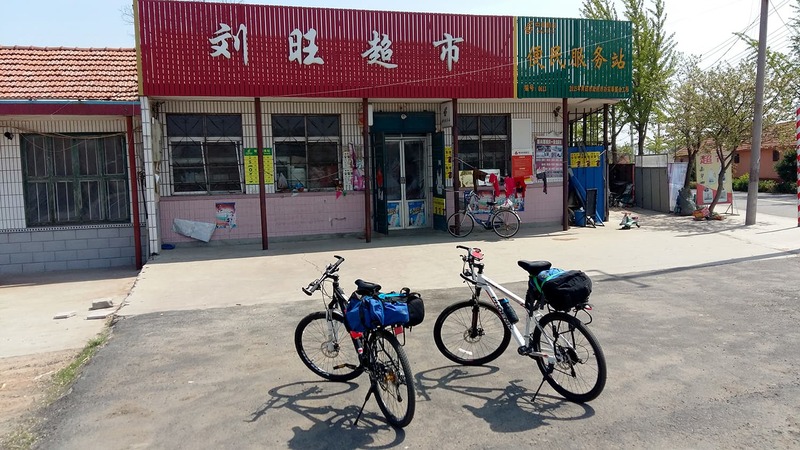 When we came up with the idea of cycling around the Shandong Peninsula, our friends told us, Ã¢â‚¬Å“You guys areÃ‚Â junooniÃ‚Â (fanatics).Ã¢â‚¬Â But we were determined to complete this dream cycling tour of ours. The objective was straightforward: To explore China, find out whether it is actually difficult for expats to travel freely in the country as portrayed in the international media, know whether the Chinese really love Pakistanis the way we have been taught throughout our lives, and finally, to defy the general perception that Pakistanis lack the spirit of adventure. We chose the Shandong Peninsula because of its historical importance, attractive scenery, diverse cuisine, and rich culture. Besides, it was close to Qingdao where we live. The Shandong Peninsula is located in the Shandong province in eastern China, between the Bohai Sea to the north and the Yellow Sea to the south. The peninsulaÃ¢â‚¬â„¢s territory comprises three major cities of the Shandong province: Qingdao in the southwest, Yantai in the north and centre, and Weihai at the eastern tip. Besides these three prefecture-level cities, the peninsula has many county-level cities and villages as well. We opted for bicycles because of their simplicity, slowness of pace, and the wormÃ¢â‚¬â„¢s-eye view they allow a rider to have. On a bicycle, one does not just observe the scenery but gets absorbed by it. For students like us, bicycling is an economic, healthy and environment-friendly way of travelling as well. The tour was a completely new experience for us. Even though we had explored Qingdao and its districts on bicycle before, we had never done a long distance cycling tour prior to this. It was imperative that we not allow our inexperience to triumph and so, in order to make our trip safe and sound, we arranged all necessary equipment. We took with us our cycling toolkits, some extra tyre tubes, an air pump, rain coats, air pillows, etc. We set off on April 22, 2017. We planned the trip as a point A to point A tour, starting from our university, Ocean University of China, in Qingdao and returning right where we began on May 5, 2017. In the course of our journey, we passed by more than 12 prefecture-level and county-level cities: Qingdao, Jimo, Laixi, Zhaoyuan, Longkou, Penglai, Changdao, Yantai, Weihai, Rongcheng, Rushan, and Haiyang. 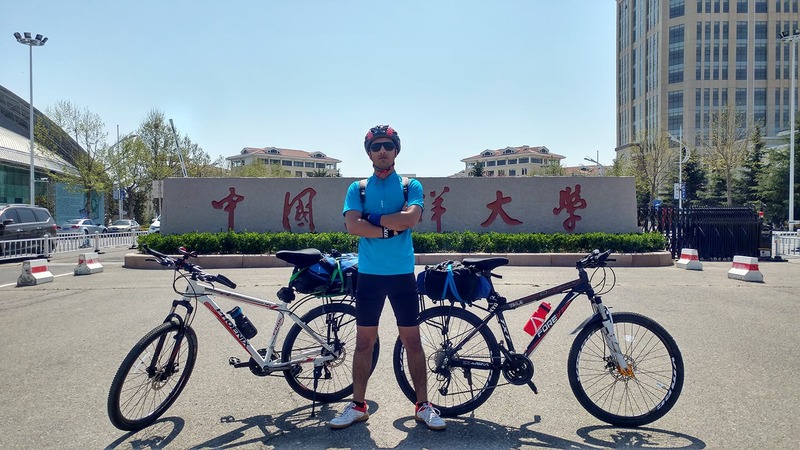 We rode through the difficult terrains of rural Shandong as well as on the smooth roads along the coasts of the Yellow Sea and the Bohai Sea, covering a distance of more than 1,000 kilometres. Fuelling just before the high altitude biking in rural Longkou. 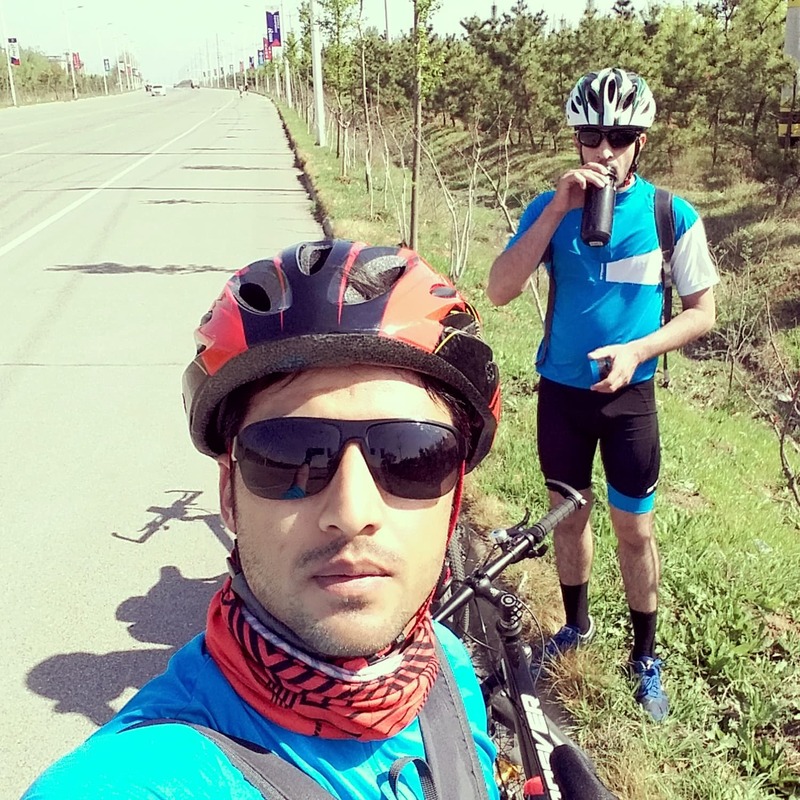 Initially, it was tough to cycle on the relatively hilly roads of Shandong with the considerable amount of weight of the equipment loaded on our bikes. But our stamina gradually grew, along with the strength in our thighs. Jimo was the first stopover. It is a county-level city close to Qingdao. One can take either the general traffic routes or the Yangkou Tunnel which is 3.8 kilometres long. We took the general traffic routes which run mostly through the main city area, but are often hampered by numerous traffic signals. It is a small city, but is home to some classical architecture and big shopping malls. The next destination was Laixi. We followed the rural traffic routes to get to Liaxi, which were often crowded with heavy vehicles, but one got to see the rural life.